Moisturizing shampoo for dry hair and scalp. cleansing oil shampoo is rated 4.0 out of 5 by 1. Emollient shampoo for dry hair & scalp that deeply purifies by removing impurities and buildup while rejuvenating dry hair and scalp with a precise dose of moisture. Leaves hair supple and cashmere soft. Calms and regenerates itchy scalp with soothing oils. 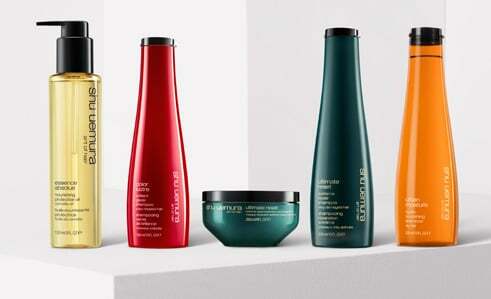 Safe on color-treated hair. Paraben free and silicone free. For all hair types. *Use as your daily shampoo or at least once a week as a pre-cleanse treatment before your preferred shampoo and conditioner routine. For oilier scalps, repeat steps 1-3. Neroli essential oil is an emollient known to balance and maintain the right moisture and oil balance in the skin and hair. Aqua / Water ● Coco-Betaine ● Coco-Glucoside ● Sodium Laureth Sulfate ● Laureth-5 Carboxylic Acid ● Sodium Chloride ● Glycerin ● Ceteareth-60 Myristyl Glycol ● Polyquaternium-6 ● Ppg-5-Ceteth-20 ● Sodium Benzoate ● Prunus Armeniaca Kernel Oil / Apricot Kernel Oil ● Olea Europaea Oil / Olive Fruit Oil ● Oryza Sativa Bran Oil / Rice Bran Oil ● Salicylic Acid ● Linalool ● Alcohol ● Limonene ● Safflower Glucoside ● Gentiana Lutea Extract / Gentiana Lutea Root Extract ● Citrus Aurantium Amara Flower Oil / Bitter Orange Flower Oil ● Sodium Hydroxide ● Citric Acid ● Parfum / Fragrance. Rated 4 out of 5 by vicky33 from Great Shampoo! Great shampoo, leaves my hair feeling soft and super clean without drying it out.